This was 17 laps around a lake in Milton Keynes starting at 4pm. As I am doing Grim Reaper 70 next Friday the plan was for a steady jog around so it was an ideal opportunity to test out my GObionic rides as time was not important and it would be easy to change them if I needed to. 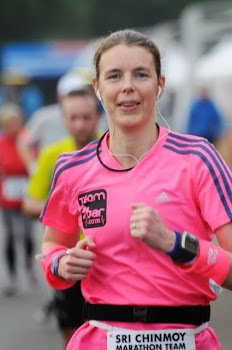 I have done a few hot marathons in the last weeks and what I wanted more than anything was cold coke and ice cold water so I had several bottles of ice and cold coke in a cool bag which I could pick up at the end of laps. I also had my 9bars and bounty bars in the cool bag as they go manky in the heat. It did mean time wasted faffing between laps but at least I always had cold water/coke to drink and didn't have melted chocolate to deal with. The less said about the run the better. It was very hot for the first couple of hours then cooled down but not enough. The route was quite nice, more undulating than I expected but that was good as I need to do more hill work so it was a useful training run. 4. Got some new trail shoes a few days ago which made me want to run off road. I don't go off road very often and the routes were hilly so the two days before I had done 2 quite hilly hard runs. Its all miles in the bank though, i was 1st lady and I was able to test the shoes. 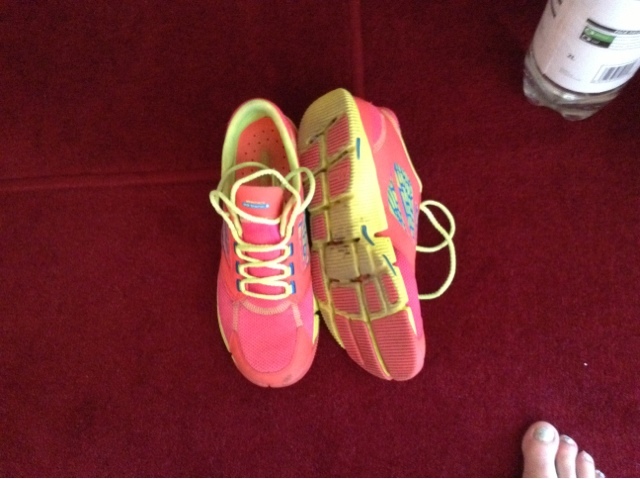 I really like the GObionic ride, they are very light (190g size 6.5), flexible and have a roomy toe box. They are a good transition shoe for barefoot running as you get a good feel of the pavement. They have taken quite some time to get used to. For the first few months my calves ached if I wore them for a few days on the trot for short runs. Eventually I got to the stage where I could wear them most days so tried 14 miles a few weeks ago - no calf ache. Yesterday no calf ache and no blisters so I was very pleased with that. I did notice that afterwards my feet ached but not during, I expect that is because of the lack of cushioning. 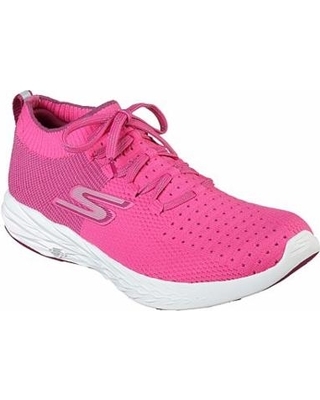 I will defiantly use these for marathons I am racing as the low weight will help with speed but I think when speed is not important I will stick with more cushioning. It was a small race - I think about 40 starters; with it being laps it is quite friendly as you are constantly lapping or being lapped so there is always someone to exchange a few words with. 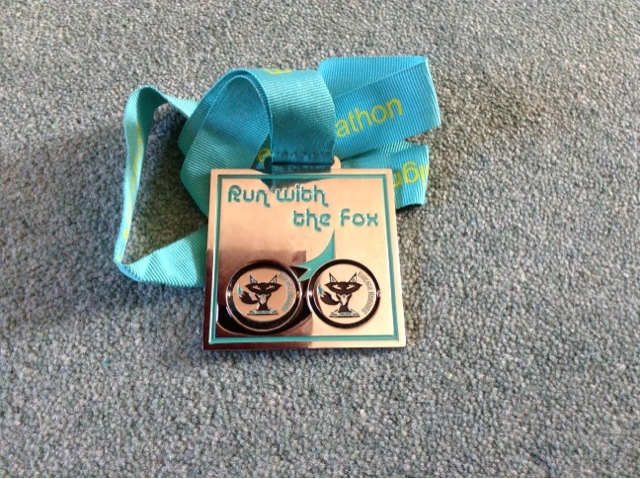 As is always the case with 'Foxys' races it was a great medal. One of the new double spinning medals in my second favourite colour - turquoise !